We are looking for talented candidates for the position of senior service accountants, audit seniors, audit assistants and audit trainees joining our Ho Chi Minh team, you will not only take on new challenges in professional working environment but also find a real work-life balance with a competitive package. 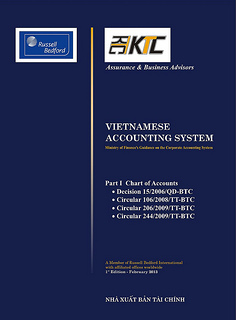 The Company also sponsors staff to study CPA Vietnam, ACCA, ICAEW or CPA Australia. - Participating in accounting engagements under supervision of senior and supervisor. - Bachelor degree in accounting, finance and/or economics. - Time management and prioritization skills. - Ability to work under pressure and in a team. - Willing to travel in Vietnam and abroad. - Conducting audit and assurance engagements under work program and supervision of audit seniors and supervisors. - Bachelor degree in accounting, finance and auditing or CAT / CFAB completion. - Assisting in audit and other engagements under work program and supervision of audit seniors and supervisors. - Final-year University majoring in accounting, finance and auditing or CAT/CFAB at final stage. - English fluency and excellent interpersonal and communication skills. KTC SCS Audit Company Limited (previously known as “KTC Assurance & Business Advisors” or KTC or SCS Global Audit Company Limited) , established in 2006, is a member of Russell Bedford International - a global network of independent firms of accountants, auditors, tax advisers and business consultants. Ranked as one of the world’s top accounting networks by International Bulletin World Surveys, Russell Bedford International (www.russellbedford.com) is represented by some 500 partners, 6000 staff and 200 offices in more than 100 countries in Europe, the Americas, Middle East, Africa, Indian Sub-Continent and Asia Pacific, including offices in developed and undeveloped countries. KTC is staffed by a team of qualified professionals including Certified Public Accountants (local and international), Ph.D., Masters in Accounting and Finance and Masters in Business Administration who have extensive experience in working in various industries. Our people are our assets and critical factor to our success.